Couple weeks back while playing my screen just went out in the middle of the game, still plays, sound works and everything, but no picture. It's not under warranty but when holding a flashlight to the screen you can still see the picture. Took it apart to try and solder the fuse but I can't find the fuse, anybody know where it is?? Or somewhere that has a schematic or picture to show me what to look for? I have the same problem. can any body help please? 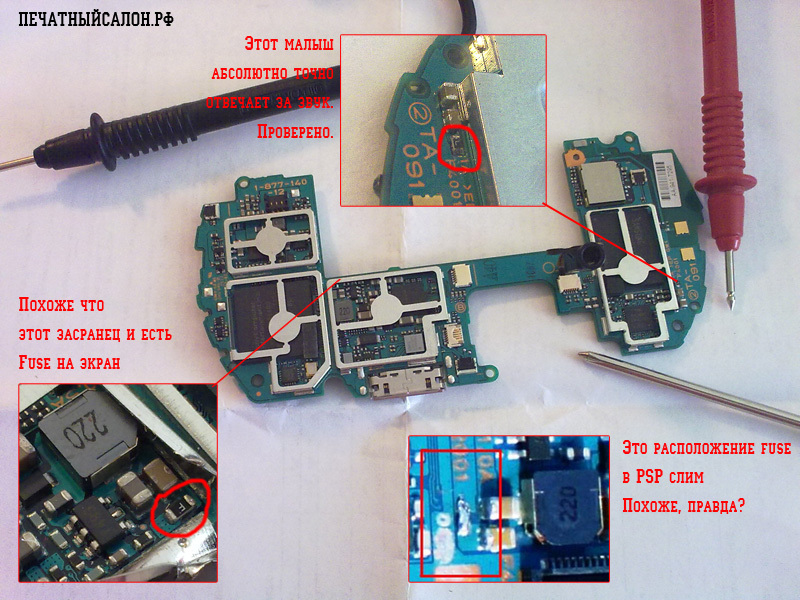 can some1 tell me, why every one knows where it is on a psp 2004 and 1004 mainboard..... BUT NOT ON A GO (N1004) MAINBOARD? Please see comment from nicksmacandpchelp, Aug 13 @ 8:14 AM • Now, what have you done for your Go, what is wrong with it and how did it break? Have you opened it up? DId you find the fuse that is label with FD and have to tried to fix it? More detail is needed to help you out. pleeeeasee... i´ve bought so many games for my psp... and still have 12,- € on my psn.account. did someone found the backlight fuse? or maybe someone has contscts to sony? jes, i´ve searched for the fuse... but i found nothing. maybe someone had the same problem and did found the fuse? hope i could help u. Has anyone confirmed that the fuse with the "F" label is in fact that correct fuse and if it will actually fix the problem if bridged? Jonathon, you never want to bridge over a fuse. The fuse blew for a reason. It gave its life to protect your backlighting from an unknown problem that caused a surge. Had that surge made it past the fuse, it likely would have destroyed the whole backlighting. You'll want to replace it. Not short around it.